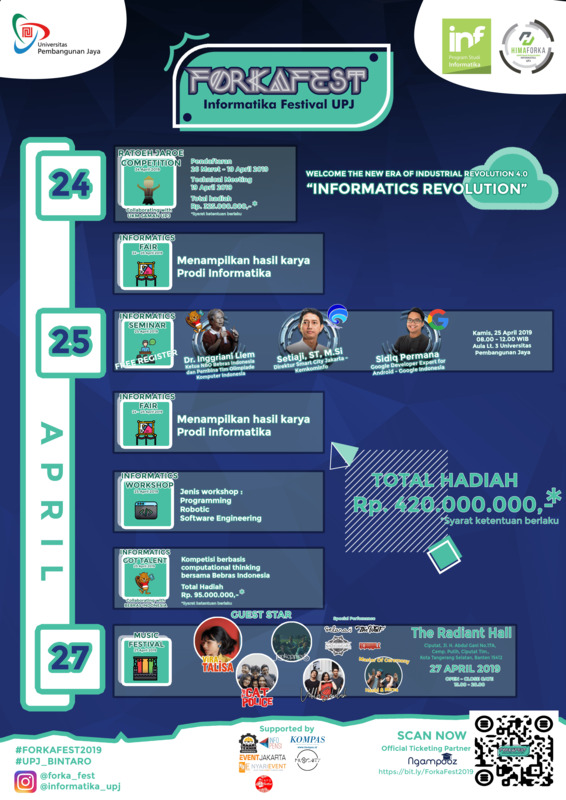 Are you ready for ForkaFest 2019 by Informatics Universitas Pembangunan Jaya ? passion, cohesiveness and concentration are all you need to compete and win this competition. Improve your skills and abilities and show that your team is the best. let everyone know who the real champion is! 📌 MARK ON YOUR CALENDAR !!! 📌 THINGS THAT YOU ARE GOING TO GET IN THIS COMPETITION!! !